75th Anniversary - tell us your Green Lake Story!  ​Green Lake Conference Center is the historic place and space of ReCreation for Christian groups to discover God's better version of themselves and their world and for nonprofit, educational and government groups to discover a better version of themselves and their world. We offer a sacred space for all parts of the Christian family, from Baptist to Lutheran to Catholic to charismatic and educational groups to gather for equipping, renewal and fellowship. We also love to host nonprofits that value networking, training and team building opportunities that our combination of indoor and outdoor facilities provide. Green Lake Conference Center, located on 900 scenic acres on the shores of Wisconsin’s deepest lake, provides for the lodging, dining and meeting needs of groups numbering up to one thousand. 60,000 square feet of flexible meeting space spread across 50 rooms includes a lakeside conference hall that can seat 1,000 attendees. Lodging options include hotel rooms and suites, lakefront houses, dormitories and campgrounds. Our room and meal options will help you stay on budget, and our AV pricing will save a typical group thousands of dollars. We provide state and federal rates. Our ‘acre per person’ facility offers contemplative and inspirational quiet places and trails, soccer fields, indoor basketball courts, high and low rope courses with zip line, nationally ranked area golf courses and a 9-hole disc golf course – in addition to activities in and on the waters of Green Lake itself! Through the Green Lake experience your group can meet, connect, recharge and renew at a high level thanks to our unique combination of natural amenities, modern facilities and passionate staff. We are the spiritual home for American Baptists who founded the conference center in 1944. The founders’ vision had this breadth in mind, from all parts of the Christian family to the diversity of nonprofits, when they created this very special place to convene and grow. Watch our promotional PowerPoint presentation Explore Green Lake Conference Center. Download our brochure for a quick overview of our meeting spaces, dining services, accommodations, quiet places and things to do! Explore our historical sites of interest. Match up the numbers in this guide with our grounds map. Learn more about our history. Green Lake Conference Center upholds the tenets of the Christian faith based on the Bible. Central to the Christian faith is our belief that salvation is offered freely by grace to those who repent of their sins and faithfully enter into a personal relationship with Jesus Christ. ​Watch our videos: Welcome to Green Lake and Why Journey to Green Lake? Green Lake Conference Center is a Travel Green certified business. In the spirit of Wisconsin's deep heritage of environmental stewardship, this Department of Tourism certification was created for businesses that promote smart, environmentally friendly practices. The program is the first of its kind state-sponsored sustainable travel green certification in the nation and has become a model for sustainable travel efforts both nationally and internationally.